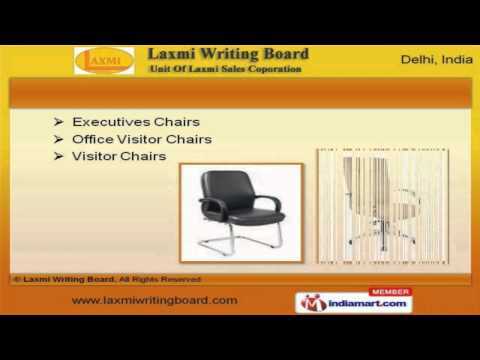 Welcome to Laxmi Writing Board, Manufacturer and Supplier of Boards, Furniture and Lab Equipment. An ISO 9001:2008 certified company, established in the year 2003. In depth industry knowledge and Wide distribution network make us unique in the industry. Assured quality products, large production capacity and Industry leading prices are the factors that help us to stay ahead of our competitors. We offer a splendid range of Writing, Colorful Display Boards and Stands. Podium Stands, School and Office Furniture offered by us are best in the industry amongst others. Executives and Office Visitor Chairs are available at industry leading prices. Our clients can avail from us an exquisite range of Leather Chairs and Steel Almirah that are cost effective. We also provide Book Cases and Desk Name Plates that are appreciated for their excellent designs. Our School Furniture for Schools and Computer Table for Homes are setting a benchmark in the market.